Discreet since the start of Dakar 2015, Helder Rodrigues is still capable of a major feat, as he demonstrated with his five previous stage victories on the Dakar. This figure moved up to six this evening in Iquique, after a great day for the Portuguese rider. Nasser Al-Attiyah made it victory number three and continues to enjoy a dream start since Buenos Aires, though the threat of Giniel de Villiers still remains. Ultra-consistent and ambitious, Helder Rodrigues has always fallen short when looking for outright victory on the Dakar, despite two podium finishes (in 2011 and 2012) The South American rally-raid did not seem to be smiling on him either in 2015, with so far a 10th place in the general standings which is below his expectations. However, after a 318-km special perfectly negotiated this Friday by the Portuguese rider, he now climbs to 6th in the general standings of Dakar 2015, 2’20“ behind Toby Price who was the runner-up today. 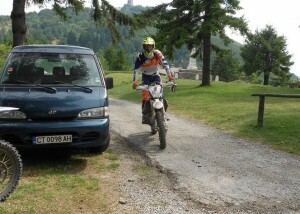 The Australian, participating in his first Dakar, demonstrated a good turn of speed and also navigational talent. Paulo Gonçalves is used to good performances on the Dakar 2015 and finally clawed back time on the Barreda/Coma duo, finishing just 1’42“ behind the day’s winner. The incisive Honda rider strengthened his third place in the general standings, waiting to ambush the men ahead. 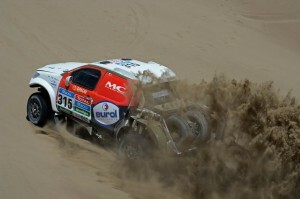 Local boy Pablo Quintanilla is also ready to take advantage of any mistakes and finished fourth in Iquique. Joan Barreda and Marc Coma again rode the stage together after a minor fall by the KTM rider at the start of the special. This time it was the turn of general standings leader Barreda to take two minutes from his countryman. This battle of the elite will not involve Jordi Viladoms, whose hopes definitively went up in smoke as he finished 35 minutes behind the day’s winner. 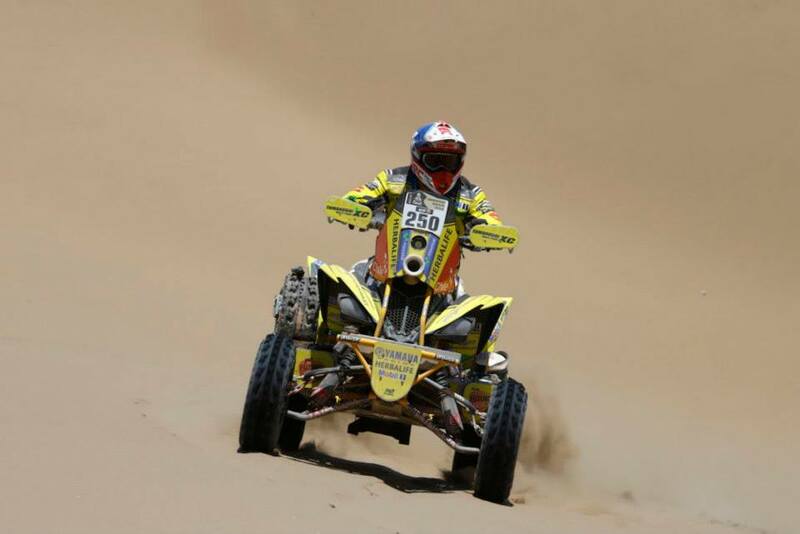 Far from having dropped his ambitions for a double on the Dakar, Ignacio Casale has gone on the attack between Autofagasta and Iquique. 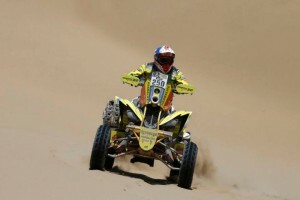 The Chilean has managed to regain more than eight minutes from the solid Rafal Sonik, but is still 16 minutes behind the Polish rider in the general standings of Dakar 2015. 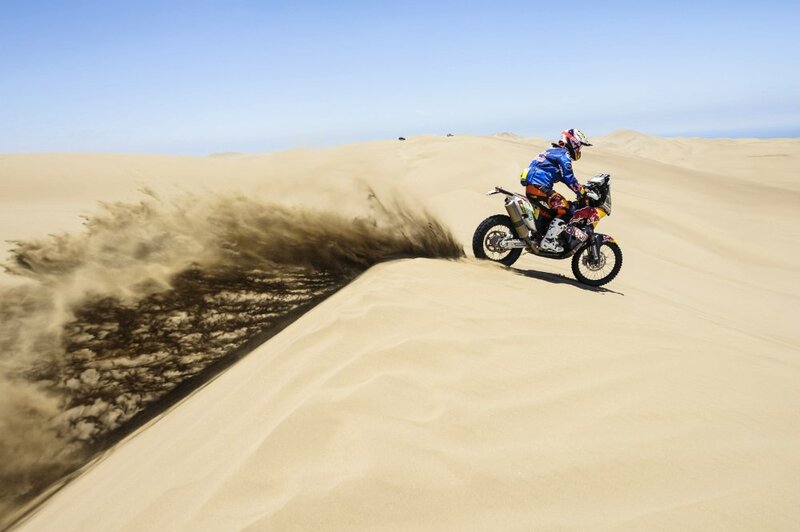 The Dakar is turning into a duel between the two men, since Sergio Lafuente is now 40 minutes behind. Irresistible: not content with dominating the general standings, Nasser Al-Attiyah is also seeking to pick up stage victories with panache, like the one earned in Iquique this Friday. It is the Mini driver’s third success in six stages, at an impressive rhythm of a triumph every two days, as he progressively leaves his mark on the Dakar 2015. 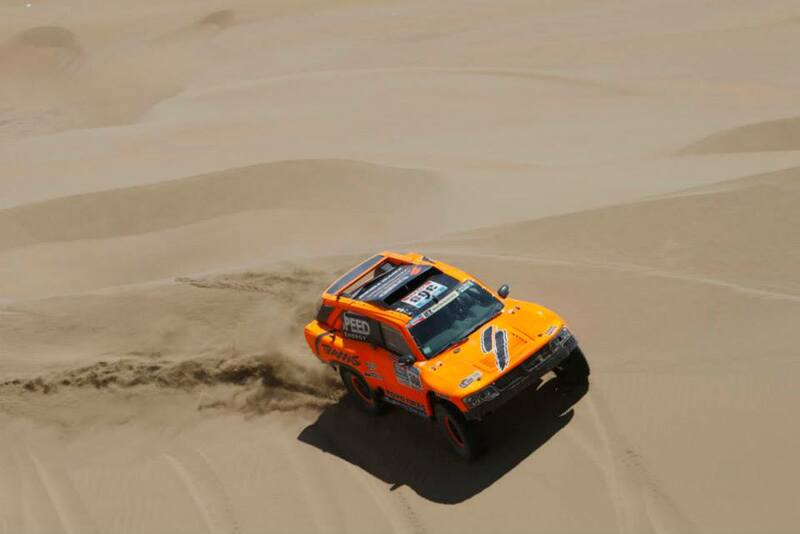 That said, the Qatari did not have an easy time against the incisive Robby Gordon and Giniel de Villiers who is still able to keep the pressure on the general standings leader. Only 37 seconds behind the day’s winner at the finishing line, the South African is more than ever the main rival for Al-Attiyah on the evening of the sixth stage. Unable to join in the fight for final victory, Nani Roma is still one of the quickest drivers on the racks and took third place for the day, ahead of Robby Gordon. Another driver far back in the general standings, Orlando Terranova finished 5’48“ behind Al-Attiyah, but in front of Yazeed Alrajhi, who was slightly slower than the previous days. 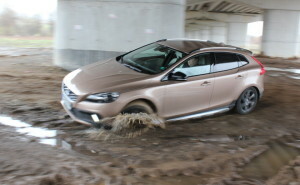 However, he remains in a solid third place in the general standings and gained more than three minutes on his nearest pursuer Krzysztof Holowczyc. Stéphane Peterhansel lost half an hour due to a mechanical problem, meaning that Christian Lavieille, 7th, is the leading French driver in the general standings. 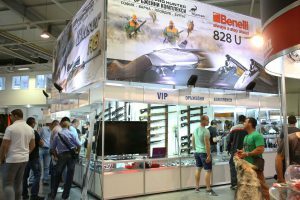 Four out of six are the impressive statistics for Eduard Nikolaev’s victories since the start of Dakar 2015 in Buenos Aires. 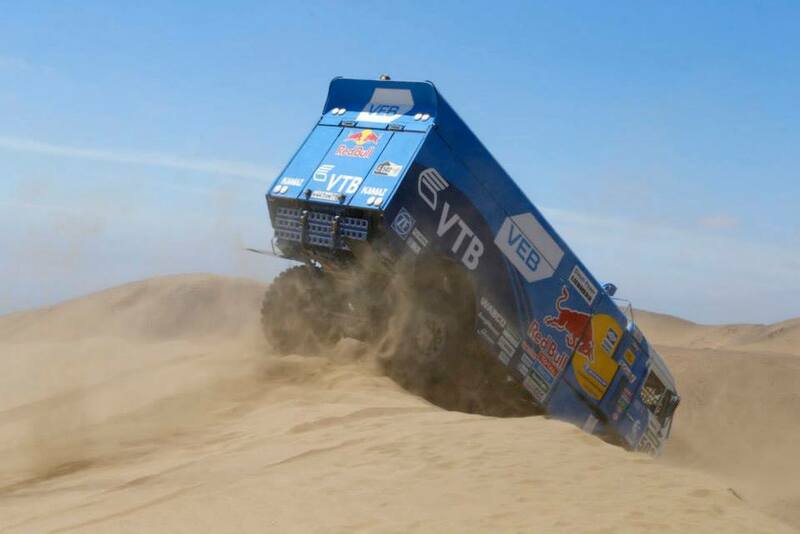 The Russian is now driving at a pace that transforms his Kamaz into a veritable steamroller. The winner in Iquique with a lead of more than five minutes over Airat Mardeev and more than ten minutes over Andrey Karginov, Nikolaev is even more comfortable at the top of the general standings ahead of his two Kamaz team-mates.